Winning Group Niamh Coakley, Rachel Fleming and Aisling Noonan with Draw Committee members, Pearse Murphy, Richard Murphy, Diarmuid O'Donovan, Niall Keane; Rose Leahy, CIT Marketing Lecturer; Audrey Burke-McCarthy, Marketing Institute of Ireland; Edmond Forrest, County Board PRO. On Thursday the 7th.of May the School of Business held ‘An Evening of Sports Marketing’ that was hosted by the Marketing Institute of Ireland in CIT. Students from Marketing, Business Studies and Sports and Exercise who currently take the Sports Marketing module had to complete two projects throughout the Semester. Half of the class had to complete a project on a Cork GAA project and the other half had to complete a project on Cork City Football Club. Each team had to present their findings to Lecturer, Rose Leahy, who narrowed it down to four final groups who would present at the event Thursday evening, May 7th. From the start, there was a great atmosphere around the room as officers from the Cork County Board and Cork City Football Club were anxious to hear what the students had to recommend. The format on the night was two groups would present their recommendations to Cork GAA on the Cork GAA Clubs Draw on how to boost ticket sales and the other two groups would present their findings on how to increase the image of the brand for Cork City Football Club. It was evident that the students put a tremendous amount of work on both the recommendations and the layout of the presentations as every person who attended was amazed at the level of the presentation skills of the students. There were fantastic ideas generated from all the students, however at the end of the evening there had to be a winning group. Niamh Coakley, Rachel Fleming and Aisling Noonan who were presenting on the Cork GAA Clubs Draw took first place for their fantastic presentation and excellent recommendations. The Second prize went to Thomas Lawton and Oran O’Halloran who were presenting on Cork City Football Club. It was a great occasion for Cork Institute of Technology to link up with such sporting icons like Cork GAA and Cork City Football Club. 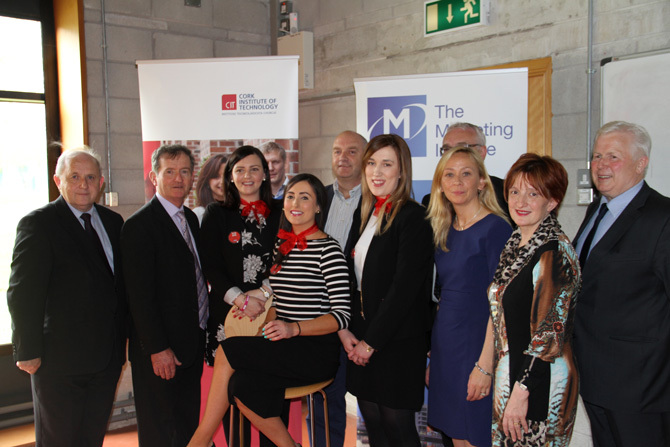 Also, thank you to the Marketing Institute of Ireland for hosting the event in Cork Institute of Technology.